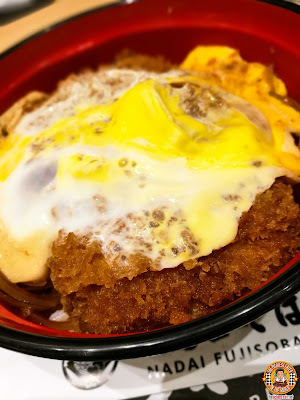 THE PICKIEST EATER IN THE WORLD: NADAI FUJISOBA SM MEGAMALL: SOBA SO GOOD! With the Ramen craze alive and well in the Philippines, Soba, another famous Japanese noodle soup has flown under the radar to slowly emerge as a delicious alternative. And where in Manila can you find some of the best Soba Noodles? With Nadai Fujisoba branches quickly spreading around the metro like wildfire, it seems like the answer is clear. 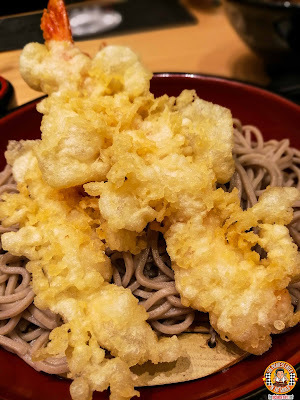 Soba actually means "Buckwheat" in Japanese, which is what the noodles are made of. 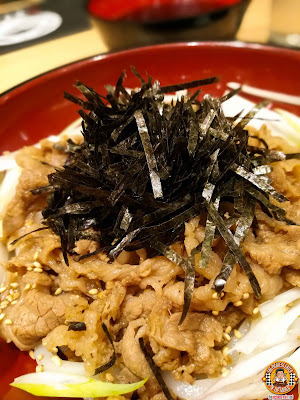 The noodles are served in a diverse range of ways which includes hot and oddly enough, cold. 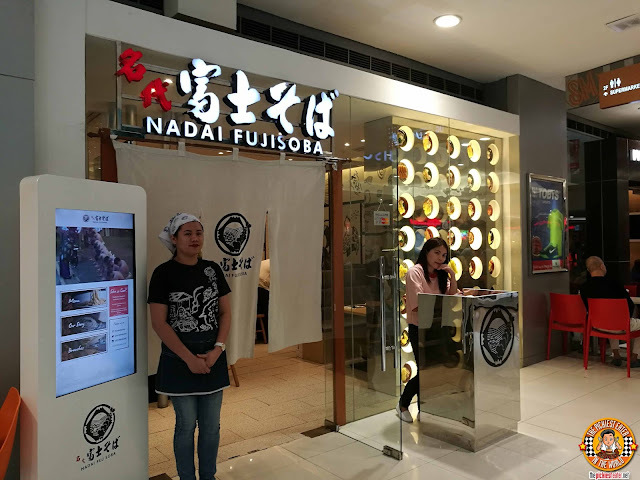 At the start of the year, Nadai Fujisoba opened a branch in SM Megamall, giving more people even more more access to discover this wonderful Japanese dish. As I stepped into Nadai Fujisoba, the bustling atmosphere made it clear that Soba has been warmly accepted by the Filipino masses. 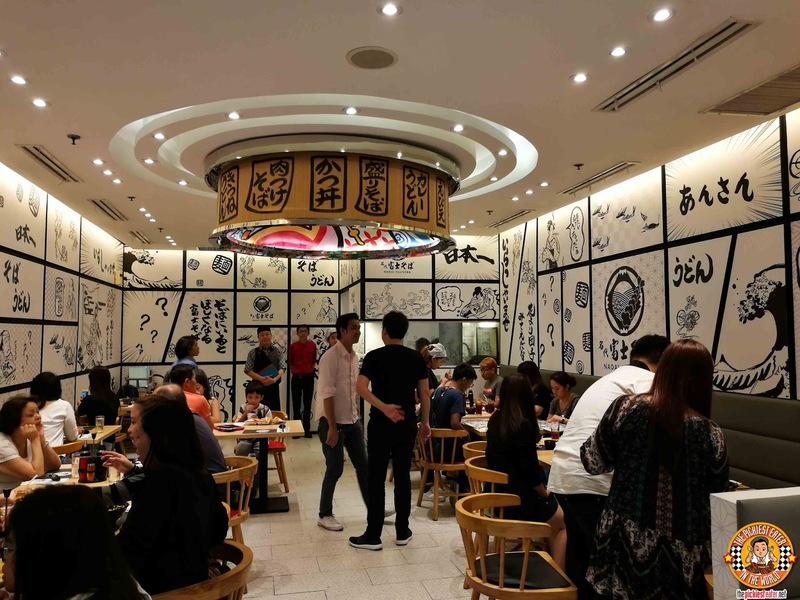 The clean, relaxing look made for a great place to dine in! 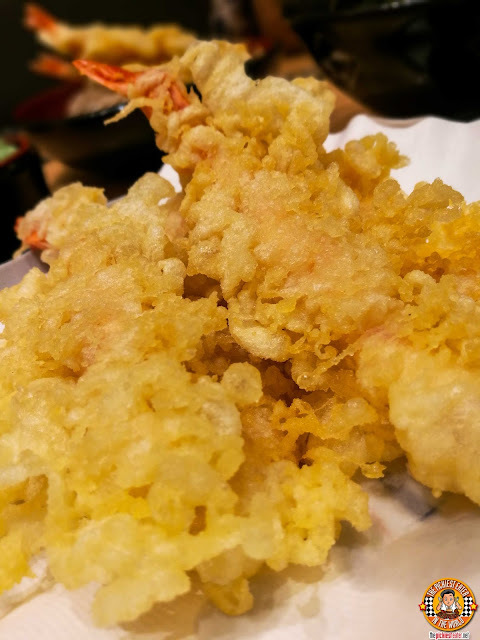 Like I said, it's virtually impossible for me to go to a Japanese restaurant without ordering Prawn Tempura, especially since it's Rain's favorite food. 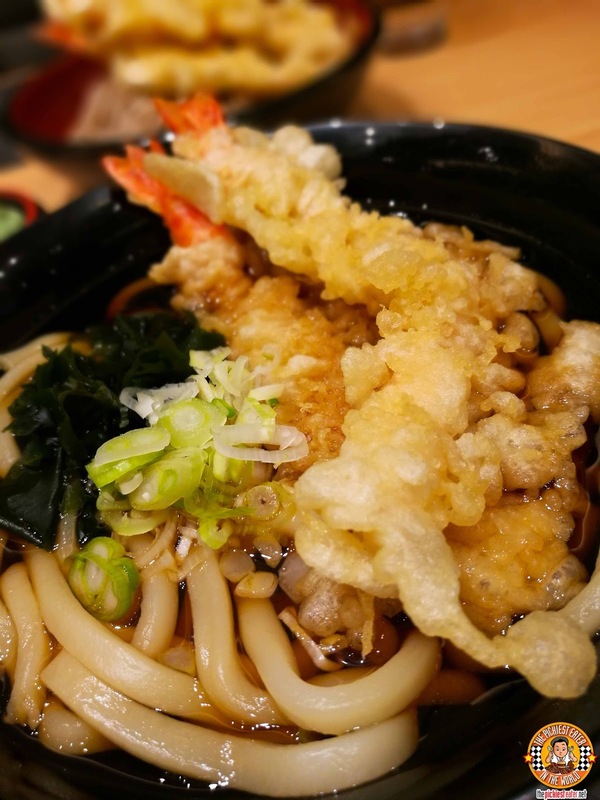 Well, Nadai Fujisoba's Ebi Ten (3pcs P240/5pcs P400), had that spectacular crunch that would surely get Rain's stamp of approval! In case you're looking for good old Japanese classics, you'll be pleased to hear that Nadai Fujisoba also serves Katsudon (P230) & Oyako Don (P230). Breaded Pork strips (Katsu) or tender cutlests of Chicken are Cooked in Onion leeks, Egg, and Dashi Sauce, then laid out on a bowl of fluffy Japanese Rice, done the delicious, traditional way. 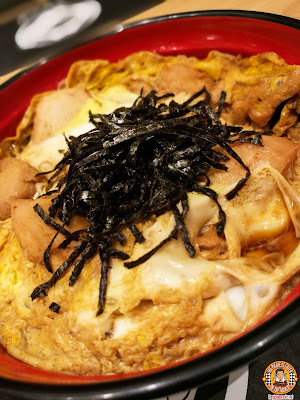 The Buta Bara Kimchi Don (P230) was my favorite among the rice bowls that I tried. 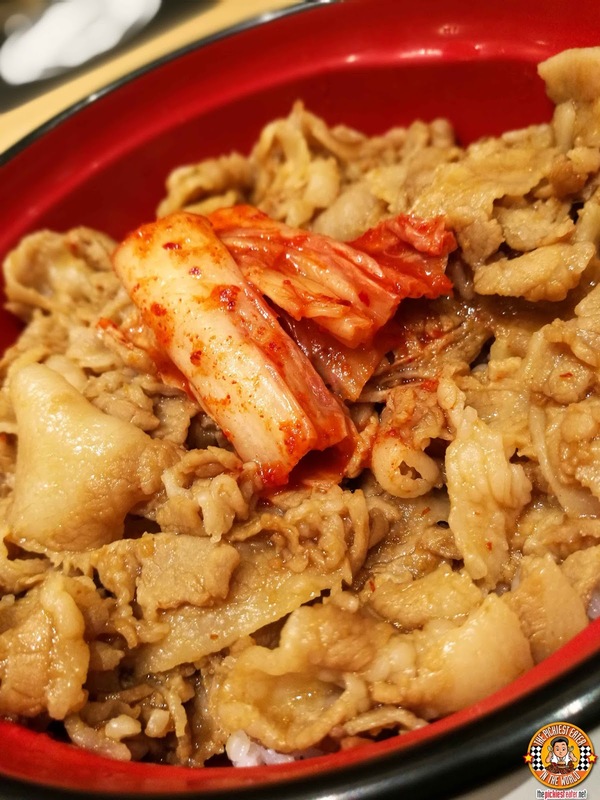 Succulent slices of Pork Belly is doused with a sweet Yakiniku Sauce, which is perfectly complimented by the heat of the Kimchi. 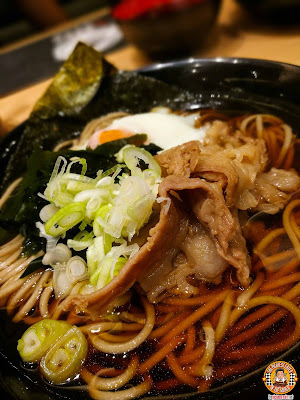 Truthfully, I don't think i'll ever get used to eating cold noodles, which is why I couldn't wait to try..
First up was the Niku Fuji Soba (P280), which has more or less become Nadai Fujisoba's signature dish. 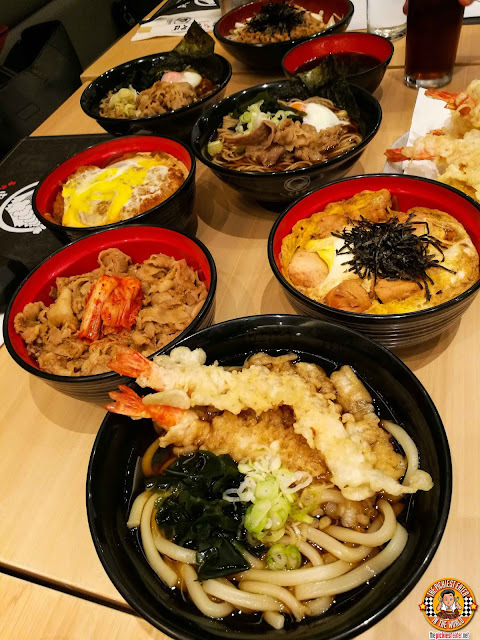 The flavorful broth and buckwheat noodles are filled with mouthwatering slices of Beef, Half Boiled Egg, Onion Leeks, and a touch of seaweed, While the Ebi Ten Soba (P300) on the other hand, is topped with Prawn Tempura. Whether you're looking for Soba, Udon or Classic Donburi's Nadai Fusjisoba has got a wide array of Japanese dishes for you to discover! 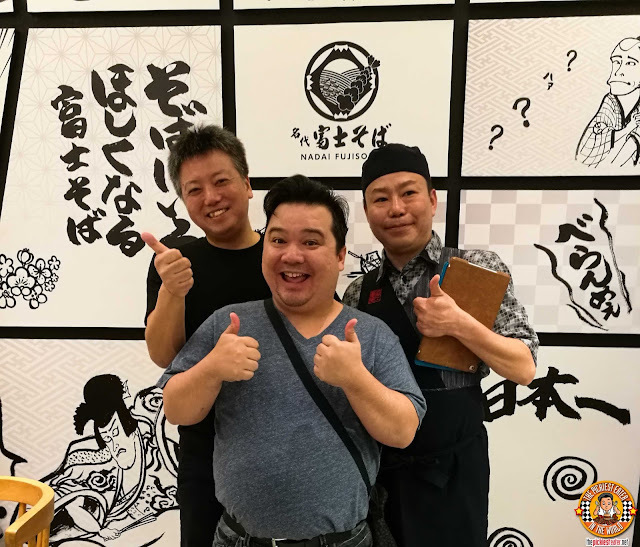 Domo Arigoto Kenji San & Chef Kudo San for the spectacular (not to mention delectable) lesson in Soba and Udon! 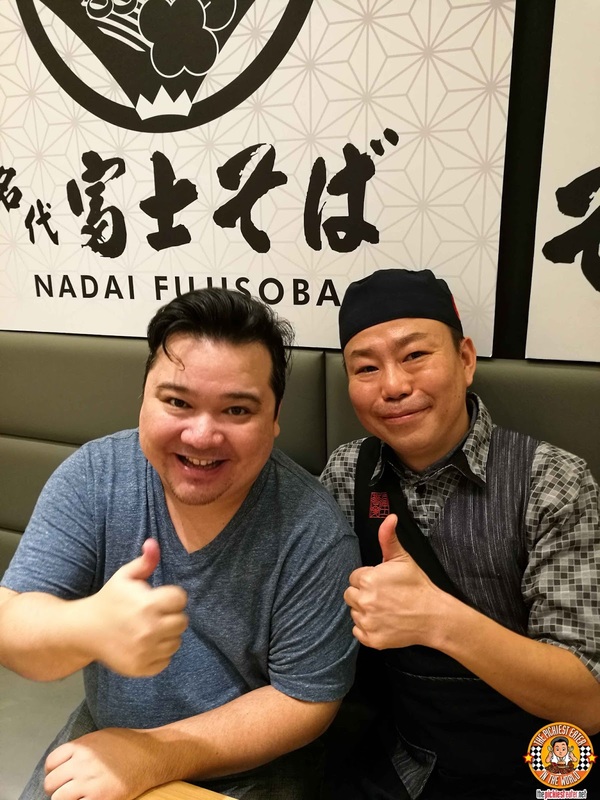 Like Nadai Fujisoba on Facebook!